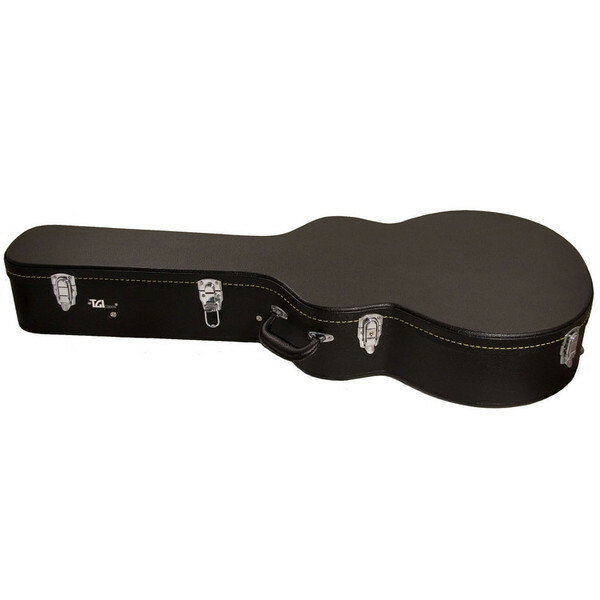 This is a TGI Case Wood Classical Guitar case with a sleek black leatherette outer cover. The grey plush lining will keep your guitar protected from bumps and scratches whilst the solid grab handle is comfortable and convenient. The case is secured with three strong, durable metal clasps.